These bamboo reed flutes are decorated with a piece of coyote fur. 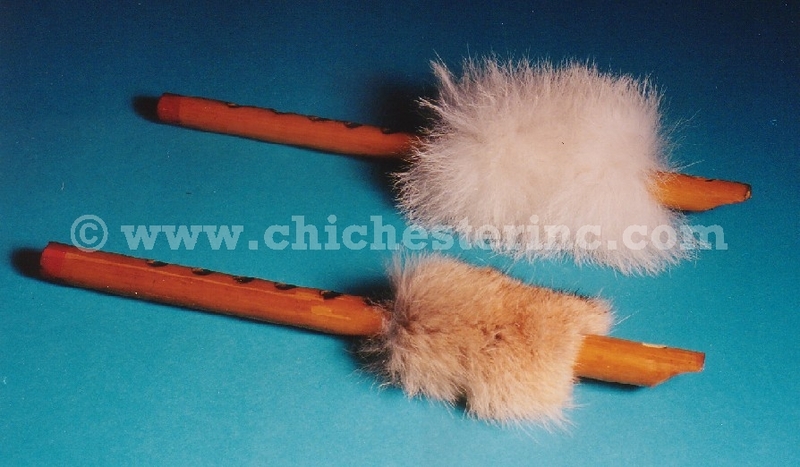 The flutes are 11"-14" (27.5 cm-35.5 cm) long and 3/4" (2 cm) wide and come with six holes and a mouth piece. The basic flute comes from India or China and is decorated in the USA. Genus and species: Canis latrans.